The mangement of Nasarawa State University, Keffi (NSUK) has released the registration procedure for new and returning students of the university in the 2017/2018 Academic Session. 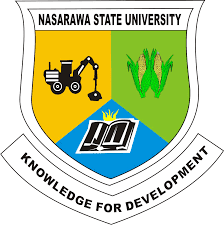 Note: Returning candidate should login by selecting UNDERGRADUATE PORTAL on NSUK PORTAL TAB, and select “APPLICANT LOGIN”. c. Result Verification: Proceed to the Academic Office with the screening form and your credentials for certificate verification. d, Departmental Screening/Faculty Screening: Proceed to the Head of Department and Faculty Officer for screening using the verified results. e. Final Clearance: A compiled list is sent to Academic Office where you are “CLEARED” to pay School Fees. Note: if you are changing course do not proceed for this final clearance. Once you are cleared and School Fees paid, you can no longer Change Course. If you desire to change course, make sure you do not pay school fees. In your Applicant Portal, make a request for change of course, pay the required fees and on successful payment, download the change of course form and take it for signing. Once this is approved by the registrar, you will be changed accordingly by the Academic Office and you can reprint a new Admission Letter and Screening Form for the New Programme and you repeat step “d”, and “e” again. Return to NSUK PORTAL TAB on www.nsuk.edu.ng, select Undergraduate Portal, then “APPLICANT LOGIN”. Enter your “email address” and “Password”. Select Pay School Fees and choose an option on Remita. This payment follows the same pattern as in Step “b” above. Once your payment is completed, a Matriculation Number is automatically generated for you alongside an OTP (One Time Password) which is required as Password in the next step. Still on www.nsuk.edu.ng , click on NSUK PORTAL TAB, and select “Undergraduate Portal”. On the interface, select “STUDENT LOGIN”, enter the “Matriculation Number” generated above alongside the OTP (One Time Password) which you will be required to change. Update your profile by clicking on my Profile (very important). Click on “My Course Registration Tab” and select “Current Session Course Registration” to register your courses. Then download and make four(4) copies for signing. On “My Fee Tab”, you can reprint your School Fees Receipt/Invoices at anytime. On “My Downloads tab” you are expected to download your Student Information Form (SIF). Please note that the Portal will be closed by mid night 26th January, 2018 and students will only be able to check registered courses. Any add and drop of courses must be done within this registration period. Failure to register within this registration period will amount to forfeiting the Academic Session. All spill-over students should also make sure they register within this period as no further registration will be allowed after this period. Student on arrival should visit; www.nsuk.edu.ng, under NSUK PORTAL tab, Select UNDERGRADUATE PORTAL, wait for the page to load, then Select the “STUDENT LOGIN”. You will be required to login with your “Matriculation Number” and “Password”. For all returning students, you will use the “PIN” on your last Session School Fees Receipt as “Password”. This will serve as a OTP(One Time Password) and you will be required to change this to a Password of your choice. When this is successful, you have to edit your profile and provide a valid email address and phone number alongside other details as necessary. Note that for subsequent retrieval of “Password” if forgotten, you will need either your email address or phone number for this purpose. Still on your User Account, click on the “My Fee Tab”, and select “Pay School Fee”. Select the Academic Session, in this case: 16/17. Click on fee details, you will be required to pay the amount on your invoice alongside N4,000.00k as Portal and Internet Charge and N300.00K as Transaction Charge via “REMITA PLATFORM”. You have the options to pay with any of the following: Mastercard, Visa Card, Verve Card, and Bank Branch. Select accordingly and provide card details and other details as it may be required. For Bank Branch payment, you will be required to generate an invoice containing the RRR code and take it to any of the following banks: Diamond, Ecobank, UBA, Keystone, Skye, Unity, FCMB, Zenith, First Bank, ask to pay through Remita Platform. After payment is made, wait a little and return to the website to print School Fees Receipt. Still on your User Account, under my course tab, select “Current Session Course Registration”. Register your courses accordingly and print the required copies.